The model announced her pregnancy with the CUTEST photo. Amy Childs is expecting her second baby. The reality star who is already a mother to one-year-old Polly announced her pregnancy on her Instagram page in the cutest way, posing in her underwear with daughter Dolly wrapped around her expecting belly. 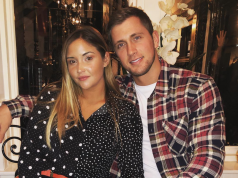 Amy’s partner has not been named, however the model recently went on a holiday with a mystery man and Polly who fans believe is the father of her second child. Bradley Wright is the father of Polly although the pair split just six weeks after Polly’s birth. 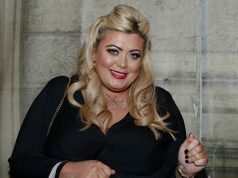 Amy appeared on TOWIE back in 2010 and famously dated Kirk Norcoss, she also took part in Celebrity Big Brother in 2011 and came fourth.